While many people come to Macau for the casinos and entertainment, many also come for the great street food. 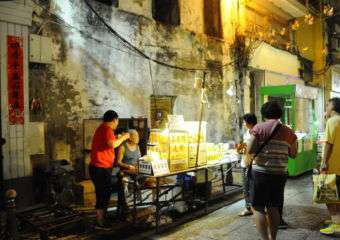 Some of the old neighborhood areas of Macau are where some of the real cultural and dining experiences can be found. One of these magic gems serves up incredibly good seafood and Chinese food. 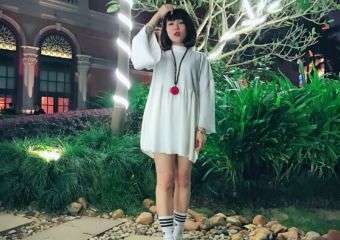 There’s no sign advertising its name, but its owners called it Chou Kei (秋記). It is so good it has been featured in multiple local dining and travel shows and is popular with many people who can relate to it’s no-frills way dining experience. It is located in Rua de Cinco de Outubro, close to an intersection with the temple (on the right side of Almeida Ribeiro, if you are walking towards Inner Harbour). The area is full of history and there are several traditional shops selling local goods such as cookies, Chinese tea and groceries, which can take one down memory lane. There is almost no information online about this restaurant, and it’s even hard to find on Google maps so you will have to be adventurous to find it – but it’s worth the journey. 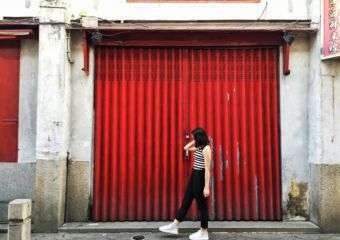 Let yourself explore the real Macau and go through Rua Cinco de Outubro, passing Bank of China. 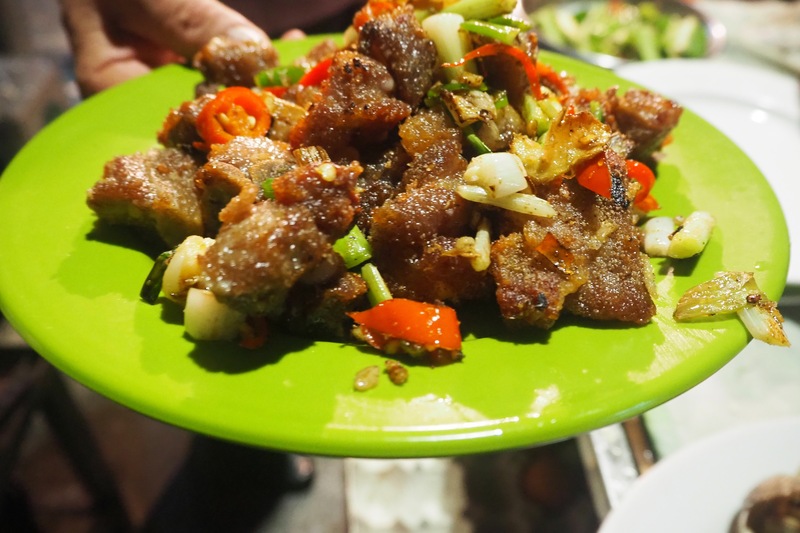 You’ll recognize the restaurant right away – the kitchen is but a portable metal cooking spot with a hot pot and a stove, and this all stands on the left side corner of the street with a small alley where there are half a dozen tables with chairs. The photo below features Chou Kei’s kitchen (left side), which is located at the intersection of Rua Cinco de Outubro with Travessa dos Faitiões, right in front of Royal Supermarket and Padaria da Guia. The chairs and table roll off into the side alley just off from the featured image. Why would one choose this cheap-looking joint over some of the other fancy dining options in the city? Well, because it is comforting to know you can still find some real raw heritage dining that offers a glimpse and taste of how it used to be. 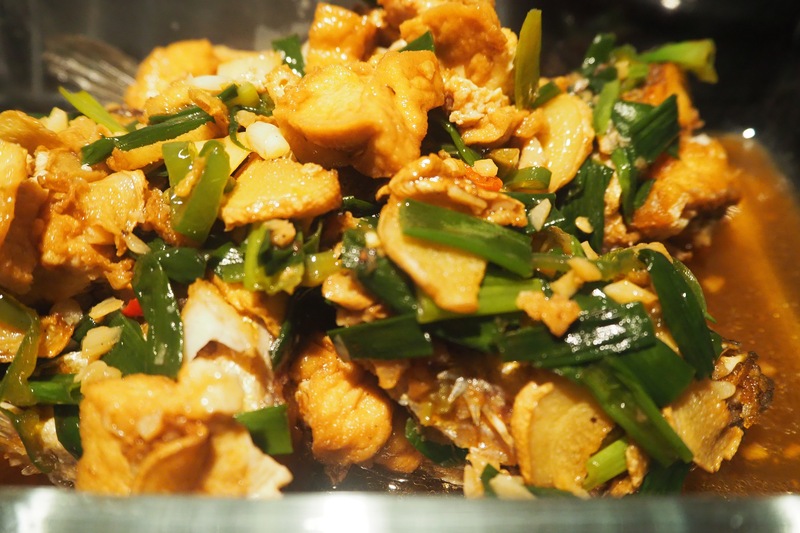 Besides serving all-time favorites like deep fried squid, fried rice and fried noodles with beef, they also serve amazing boiled (whole) fish with ginger, tiny deep fried fish and several types of poached vegetables with garlic (broccoli, Chinese cabbage, etc.). Of course, beer is cheap and always rolling, as well as hot free tea. The chef certainly has way more to offer than the above dishes, but there’s no English menu. The solution? Look at neighboring tables and ask for whatever they’re having. 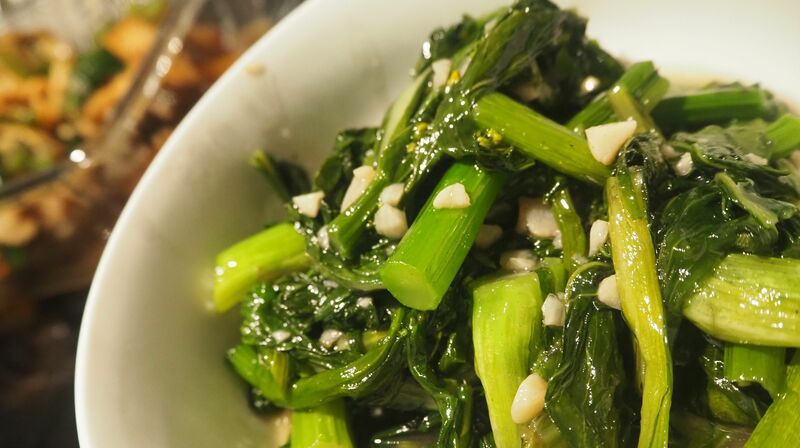 If you’re not keen on surprises, just try showing some image of Chinese dishes on your phone, and chances are they will have at least one or more. 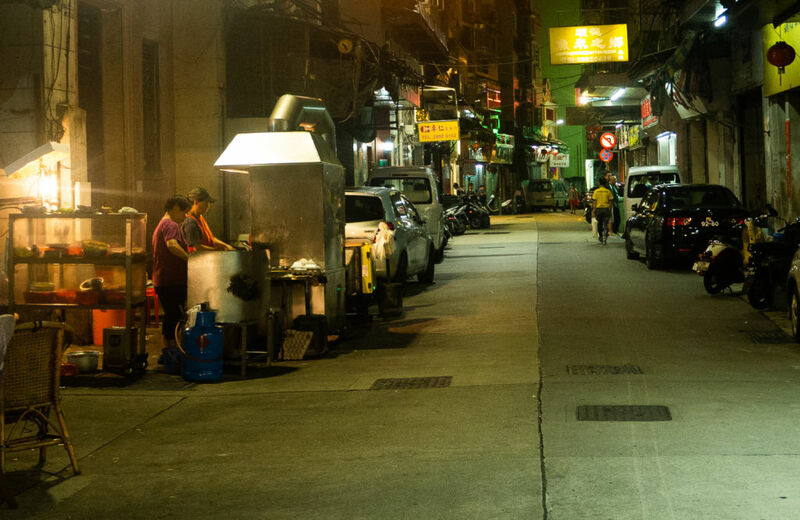 This is an open-air joint and, unlike most in Macau, smoking while dining is allowed. So if you want a glimpse of how Macau used to eat, and get a taste of unrefined history, head down and discover this hidden gem for yourself! You can even print or have this article ready on your phone and just follow the directions. They open late, so it’s an awesome spot to head to if you’re out late after shopping. Or just come and have a beer and a snack with some friends, and enjoy the way things used to be when times were simpler.